During September 2012, I traveled to Iceland on the low-cost orange airline, EasyJet, for less than $200 return from London. I wish there were more direct connections to Rekjavik from Newfoundland & Labrador, as one doesn’t have to go far to find similarities, especially my home of The Great Northern Peninsula. I’ve talked about open-air museums in previous posts. I value these types of experience so visiting Arbaer Open-Air Museum was an obvious choice. Arbaer is a collection of older homes, representing a working village of the past inclusive of fishers, farmers and significant cultural values. Typically this is a working village in peak tourism season with more than a dozen workers dressed in period attire and able to share their experiences with the visitor. During the off-season tourists can wander around the open air museum; however, unable to view the interior of the buildings. They do offer once a day, a tour at 1:30 PM. I arrived a few minutes late, was told that the I could catch the tour at the farm houses on the corner. I hurried down to what I thought looked like a farm-house, only to crash a lecture given to students of architecture. Needless, to say, we shared a good laugh and off to the farm I went (farmhouse depicted above). 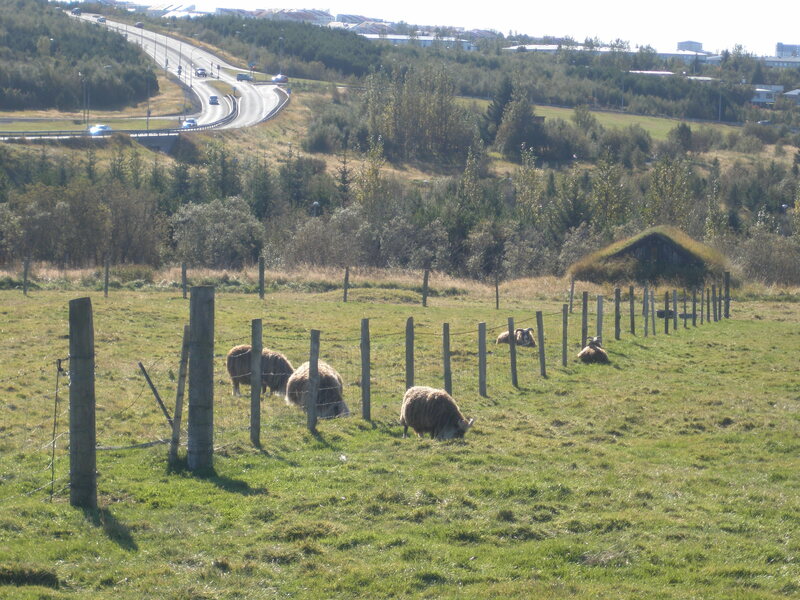 In passing, there were sheep, Icelandic horses, chickens, pigs and other livestock. The interior of the farmhouse illustrated how the older homes were built and insulated. The farm animals were kept in a compartment of the house, partly for warmth. We were able to see the cooking areas, stables and where the workers slept. Inside the main house was typical living quarters of dining, one upstairs bedroom for all and a kitchen with cast iron stove. Below the iron is a cast iron waffle maker, has anyone seen one in Newfoundland & Labrador? The tour continued to other small homes. These were typically fishers. The people on the corner are the architectural students, which I crashed their class earlier, measuring the home. The interior was quaint but had all the necessities. After visiting the farm house, farm, multiple homes and a large warehouse filled with a period model of the city, transportation elements, including one of the island’s two locomotives the tour concluded. 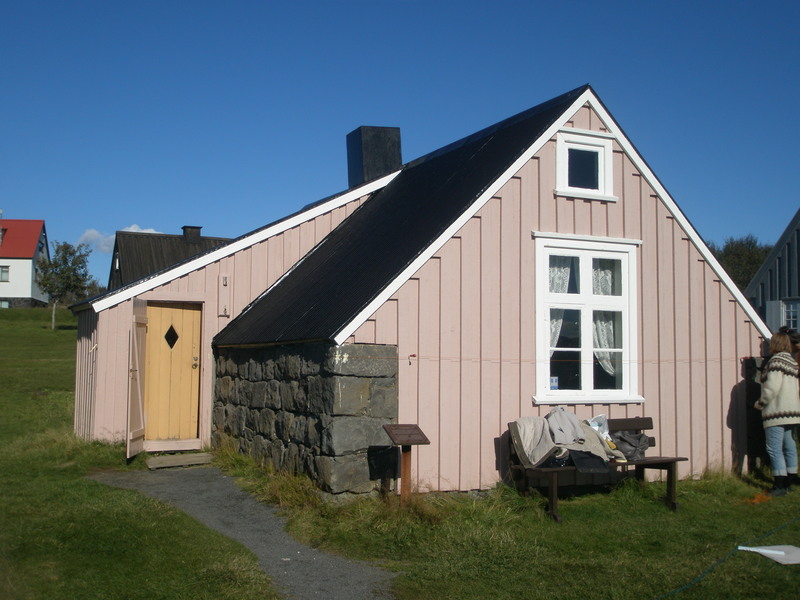 For more information visit http://www.nat.is/Museums/reykjavik_arbaejarsafn.htm. I had the opportunity to ask many questions, feeling much richer about Icelandic culture and way of living. I had mentioned to the guide that we have a similar open air museum called “Norstead – Viking Village & Port of Trade”. 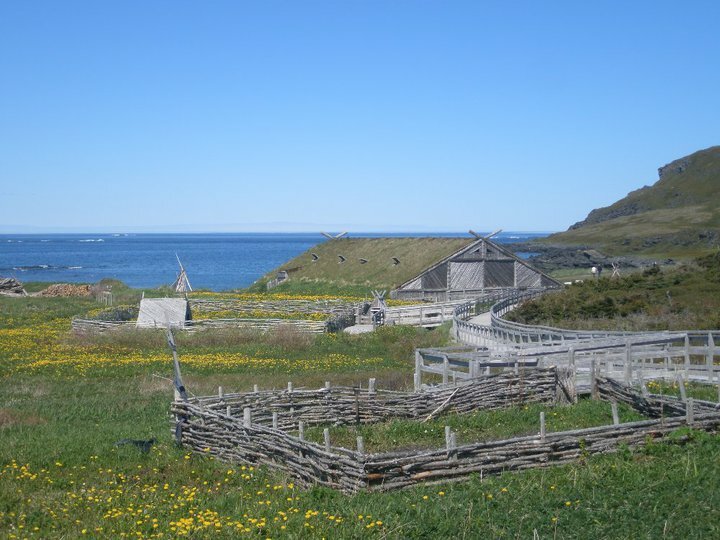 During summer, one can visit L’Anse aux Meadows and live like a viking. Maybe we can create a network of Norse sites? 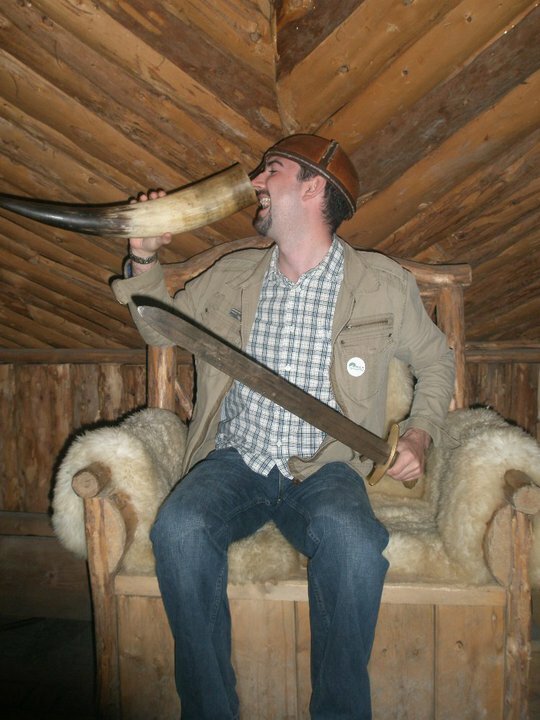 I was able to sit in the Chieftain’s chair, hold his sword and drink mead. Visit http://www.norstead.com for more information. I’ve been to this site many times and so have thousands of others. You too can find your route to the Vikings on the Great Northern Peninsula, Newfoundland & Labrador just minutes from North America’s only authentic Viking site, L’Anse Aux Meadows World UNESCO Site. A must see if visiting and learning our rural ways. Posted on November 10, 2012, in History, Landscapes/Geography, Vacations and tagged EasyJet, Great Northern Peninsula, L'Anse aux Meadows, Labrador, Newfoundland, Newfoundland & Labrador, Reykjavík, The Straits White Bay North. Bookmark the permalink. 3 Comments. Hi Barb. Thank you for your comments. We have truly unique experiences on the Great Northern Peninsula. There are opportunities to expand our product and package. With the right attitude and organization we will get there!